SKU: Model: 9003. Category: Instrumentation. 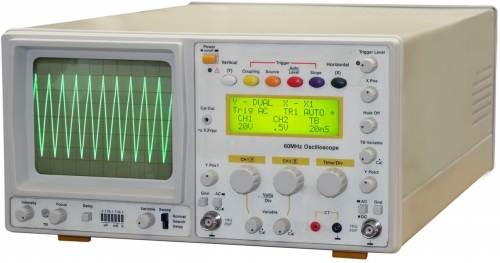 The 9010 is a 60MHz microcontroller based Oscilloscope with a range of operating modes, x10 magnification and alternate triggering. 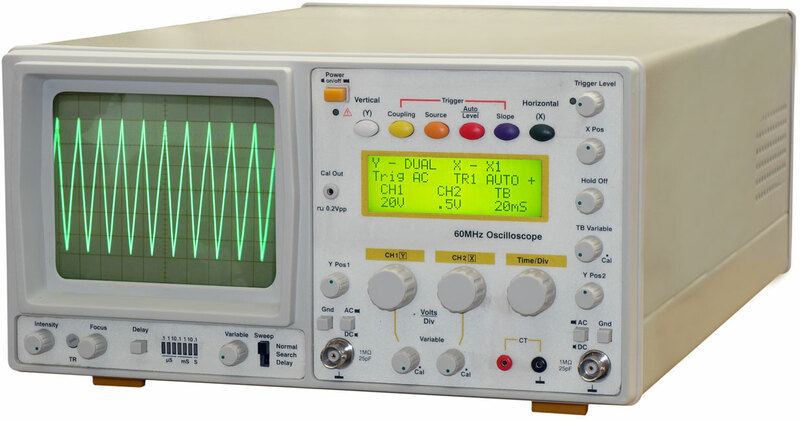 The 9010 can view frequencies up to 80MHz on its large digital LCD display. The unit is a practical and versatile instrument ideal for testing and measurement in an educational and industrial environment.